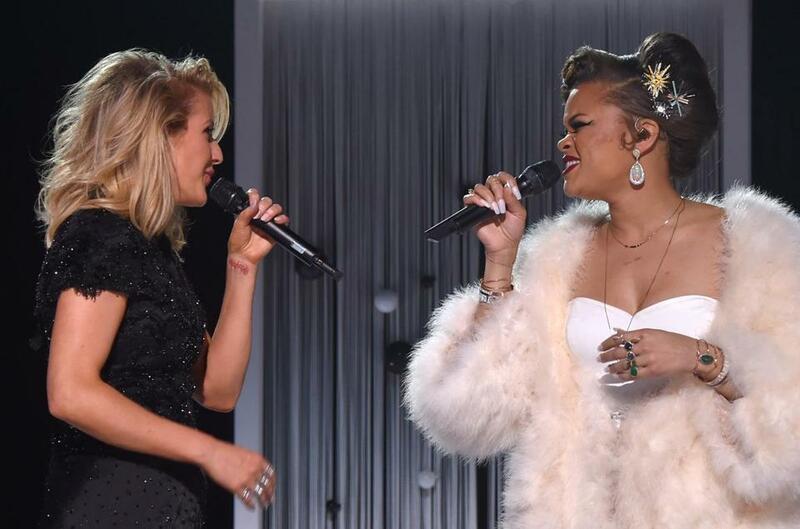 Singer Andra Day (right) appeared on stage with Ellie Goulding at the Grammy Awards. 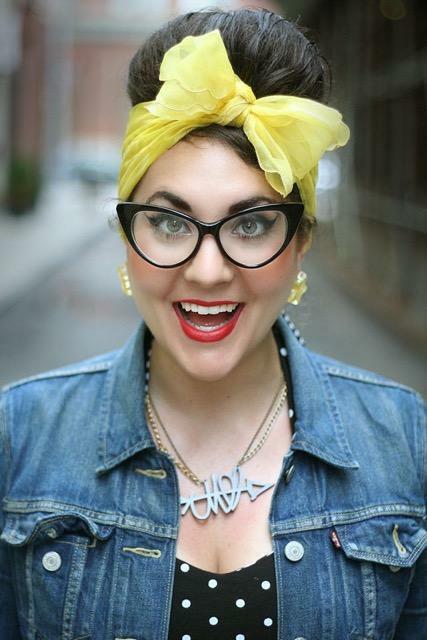 Grafton-bred designer Julie Mollo has found a muse in singer Andra Day. Mollo, a 2006 Grafton High School grad who’s now based in Brooklyn, is responsible for the white jumpsuit that Day donned for the Grammys. Day wore the outfit as she performed her nominated song “Rise Up” and joined Ellie Goulding for “Love Me Like You Do.” Mollo said she began designing for Day last fall after they were connected through a friend from Shrewsbury. She said she was already a fan of Day’s style — because it looked just like her own. “She does her hair the same way that I do. We’re like the black-and-white versions of each other,” Mollo said. “A friend of mine was watching her on the BET Awards and was like, Julie, get on this.” After Day and her manager visited Mollo’s studio in September, the designer outfitted her for her appearance on “Live! With Kelly and Michael” in October. Mollo has also designed clothes for Katy Perry. Names can be reached at names@globe.com. Follow Meredith Goldstein on Twitter @MeredithGoldste.